Product Details - Materia-Plastic Light-weight Non-slip due to rubber feet, Colours - red, blue, green, white, Capacity -250 ml. 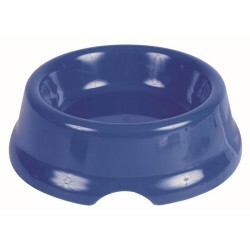 Product information - A light weight plastic dog bowl, which is sturdy and securely holds the contents. With plastic feet so slightly raised off the floor to make it easier for dogs to eat.